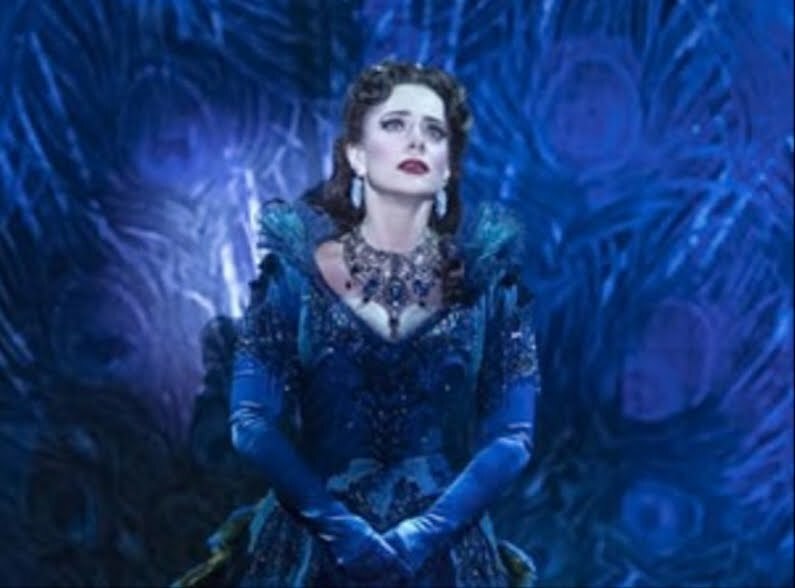 Carol's Theatre Reviews ~ It's Fun To Go Out: “Love Never Dies” More Wow Factor Than Content. 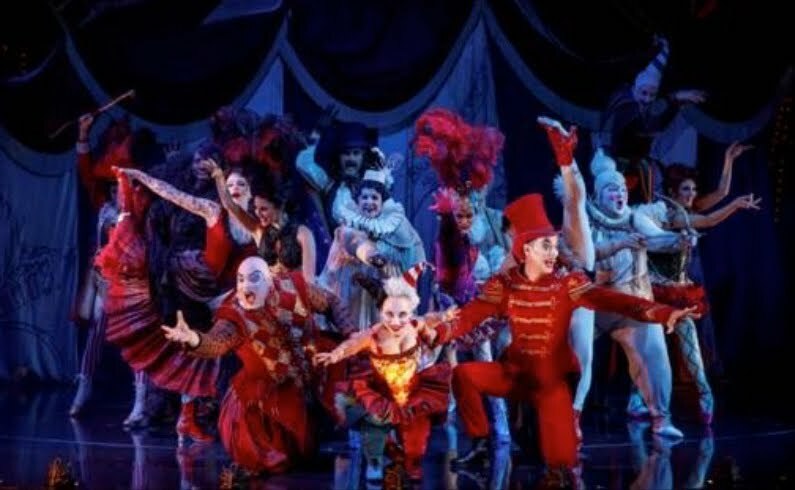 The popular “Phantom Of The Opera” based on the novel “Le Fantôme de L’ Opéra by Gaston Leroux, has a sequel, “Love Never Dies”, now playing at the Civic Theatre through April 1st. With creators Andrew Lloyd Webber, Glenn Slayer, Ben Elton, Frederick Forsyth the book loosely based on and adapted from Forsyth’s novel “The Phantom of Manhattan” the story fast forwards 10 years and another country (it’s now 1917) through space and winds up on the amusement park grounds of Coney Island, at the turn of then century, as a sideshow in a new attraction called Mr. Y’s Phantasma. Lloyd Webber might not consider it a sequel but knowing a bit about the characters, taken straight out of his ‘Phantom’ playbook where no one has aged a bit, but the circumstances of their plight(s) have been turned topsy-turvy, might help especially with the addition of a new character, ten- year old Gustave, Christine Daaé’s son who happens to be a musical wiz/chip off the old block. The genesis of this new musical that began as an idea with Lloyd Webber started in 1990 when he began working on it. It wasn’t until 2007 that he began writing the music and it wasn’t until 2010 that the show opened at the Adelphi Theatre in London’s West End with San Diego’s (Old Globe) own Jack O’Brien directing. Unfortunately, it bombed and was cancelled after four performances. It resurfaced again in 2010 in Australia where it delighted fans. Now on National Tour with Simon Phillips directing, and starring the beautiful full throttled voice of Meghan Picerno as Christine Daaé’s and Gardar Thor Cortes as The Phantom or Mr. ‘Y’ (“Till I hear You Sing”) the two are thrown together once again in a series of miss-steps that set into motion recaptured love (that ‘never dies’) amid a plethora of circus characters that go above and beyond spectacular looks and movements to Graeme Murphy Ao’s choreography, Gabriela Tylesova’s flashing and bigger than life sets and eye-popping costumes, Mick Potter’s sound design with David Cullen’s and Andrew Lloyd Webber’s orchestrations under Dale Rieling’s baton and his 17member orchestra. 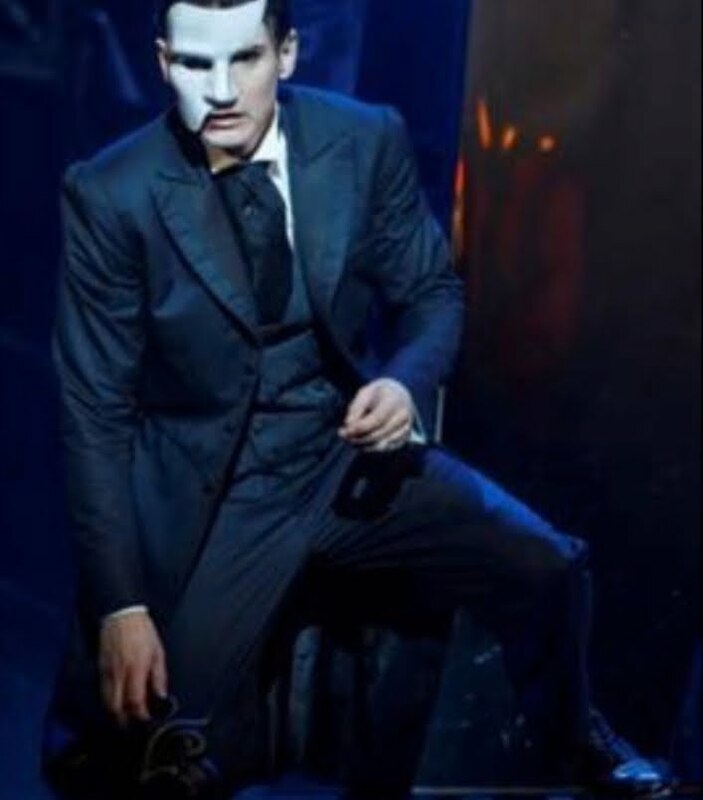 The predictable plot reunites Christine and the Phantom in an on again off again struggle to love or not to love, to secretly meet or not to meet, to leave her wastrel husband Raoul (Sean Thompson) or not and finally to reveal Gustav’s (Jake Heston Miller)‘real father’ or not. The run is short, moving on to LA after the April 1st show, so if you are dying to know what happened to Christine and her paramour since she ran away with Raoul back in the day, now would be a good time. Some background reading would be helpful. If you want to hear some absolutely gorgeous singing, Meghan Picerno will satisfy your senses as will Mary Michael Patterson’s Meg, her rival and wanna be Phantom’s next big star. Her mother Madame Giry (Karen Mason) and Jake Heston Miller (the young lad playing Gustave the night I attended) will also keep you in awe. Webber’s score is poetic, lush and operatic enough to keep alive the notion that there is a place for the masses in musical theatre. Yours truly found the whole circus setup (“Side Show”) and characters fascinating (I love a circus and if be known, a good parade) and that included a horseless carriage ride from the ship to the shores where the masses greeted Christine and family driven by the circus dwarf seen in the center of the above photo. It could have been Cinderella’s carriage sans the horses.